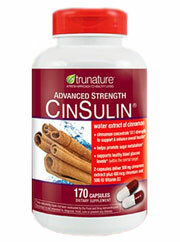 Cinsulin caught our eye because of the clinical study results the product flaunts on its website. All of the studies appear to be legitimate, and there are even detailed references tracing back to the journals where the studies were published, in addition to links to websites where customers can find all the summaries and abstracts from the studies. Sounds pretty great, right? Well in fact, this may not be all it appears to be. 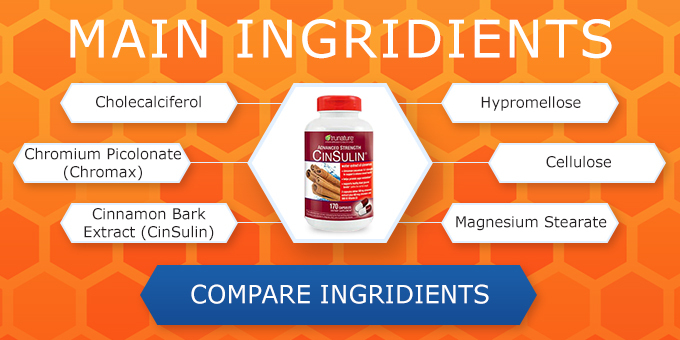 In conducting our research we uncovered that all of the studies Cinsulin references are in fact studies that were conducted on another product entirely - "Cinnulin PF". Moreover, it would appear there is no connection between Cinsulin and Cinnulin PF, and therefore it is impossible to verify whether these same results would apply to Cinsulin. For one, we have no idea whether Cinsulin and the other product of which Cinsulin has lifted for their clinical study results even uses the same extraction process to begin with. Although cinnamon is shown to have positive effects on blood glucose levels and blood pressure, as well as weight reduction too, we simply cannot vouch for a product that uses test results from another product that is not their own. Extraction processes, binding techniques, and even the quality of the manufacturer's facility are all integral parts of any supplement. Simply because two products use the same ingredient does not mean they guarantee the same results. That said, we have no idea how well this product, Cinsulin, really works, and although it would appear cinnamon extract is effective, we are uncertain seeing as Cinsulin has no tests of its own. Moreover, a company that uses another product's test results and calls them their own is highly suspect. Additionally, the product has a decent amount of caffeine it it too, and people sensitive to heart palpitations, the jitters, or anxiety should proceed with Cinsulin with caution. On the brighter side, the cost of this extract is good, coming it at about $25 per bottle. Cinnamon extract is shown to have positive effects on body composition, the product is fairly inexpensive. Misleading clinical trial results, not available online. Although Cinsulin appears to be effective in that it incorporates cinnamon, in fact it is hard to tell whether Cinsulin itself will be effective seeing as there are no clinical trials pointing to it specifically. Just because cinnamon extract has been shown to improve body composition does not mean all cinnamon extracts are now equally effective. There are many variables when it comes to good weight loss supplements, and the type of ingredients are just one aspect of the total. Therefore, in our team's recommendation the consumer would benefit more greatly off of a product that offers not just cinammon as its main ingredient, but clinical results that align with that same product. Bottom Line: Cinsulin may appear to be the total package, but in reality it is merely wrapped in another product's clinical endorsements. It helped with hunger but made me really shaky and nervous. I think I need to consult with my physician before continuing taking it!